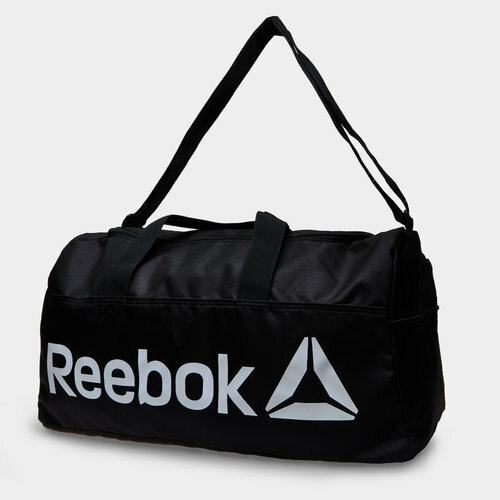 Don't forget anything when you're rushing from work to training with this Reebok ACT Core Grip Medium Holdall in Black. Keep all your workout essentials stored in one place when you use this durable gym bag. This bag has a separate compartment for shoes and workout gear while the side pockets can help you secure your smaller items that may get lost amongst the action in the bigger compartments. The padded shoulder strap and dual carry handles help lighten the load.